A rookie’s probe with quick-lock assembly system: the ALU 240 is reduced to the essentials. The quick-lock assembly system allows for quick and simple set up. It is therefore ready for use in just seconds and can be collapsed and folded just as quickly. The tension can be set by simply turning the optimized adjusting screw. 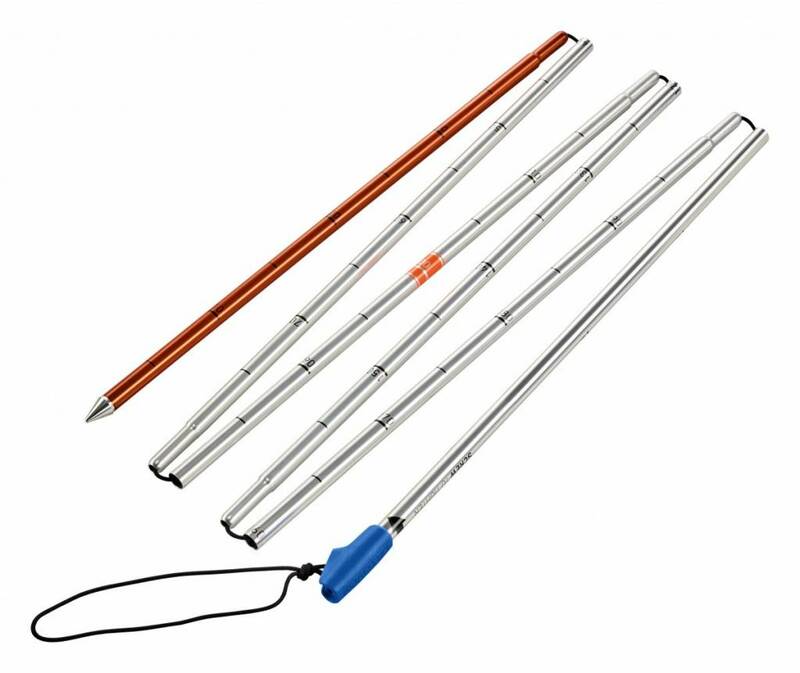 The large probe tip, which has a significantly larger diameter compared to the probe elements, ensures improved penetration. The low weight of just 200g is achieved by using aluminium with a diameter of 11mm. 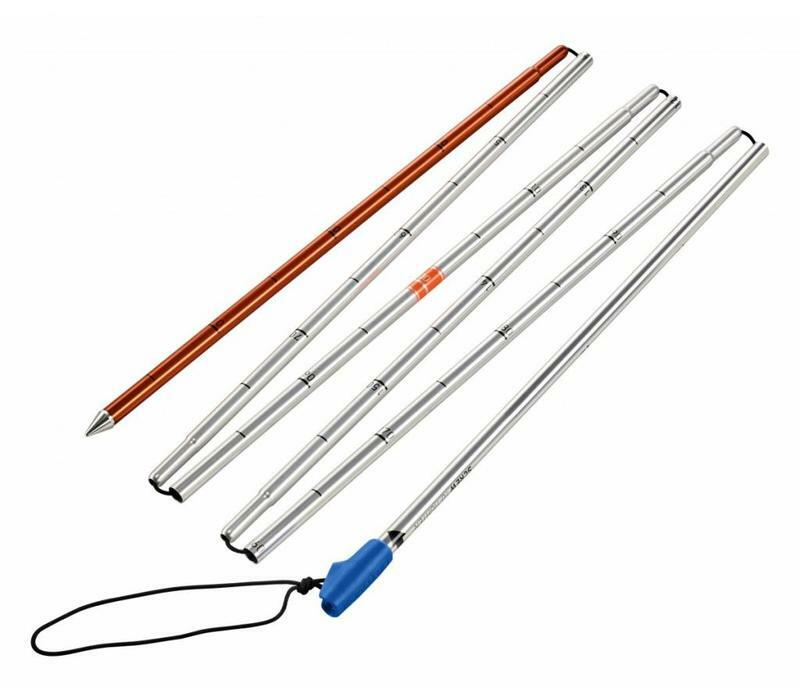 As with all our probes, the ALU 240 features easy-to-read depth markers, a clear 1-meter marker and an orange bottom segment to optimally adapt the shovelling strategy.